A biogas plant produces two outputs, biogas and digestate; both can be further processed or utilized to produce secondary outputs. Biogas can be used for producing electricity and heat, as a natural gas substitute and also a transportation fuel. A combined heat and power plant system (CHP) not only generates power but also produces heat for in-house requirements to maintain desired temperature level in the digester during cold season. CHP systems cover a range of technologies but indicative energy outputs per m3 of biogas are approximately 1.7 kWh electricity and 2.5kWh heat. The combined production of electricity and heat is highly desirable because it displaces non-renewable energy demand elsewhere and therefore reduces the amount of carbon dioxide released into the atmosphere. In Sweden, compressed biogas is used as a transportation fuel for cars and buses. 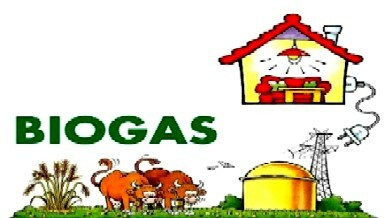 Biogas can also be upgraded and used in gas supply networks. The use of biogas in solid oxide fuel cells is being researched. The surplus heat energy generated may be utilized through a district heating network. Thus, there is potential scope for biogas facilities in the proximity of new housing and development areas, particularly if the waste management system could utilise kitchen and green waste from the housing as a supplement to other feedstock. In Ukraine biogas is produced within the coal mines region – alongwith the utilization of mine gases.